ColecoVision.dk presents: Burn Rubber © 2010 by: Dvik & Joyrex. Pause Feature: Yes, press: " # "
Special for this game: 2 players can play with 2 Steering Wheels simulaneously ! Rev your engines and get ready to test your driving skills in Burn Rubber!. You will be challenged by computer driven opponent cars in single races, or championships and even by a shadow of yourself in the time trial mode. 8 available tracks to test your driver skill. Beat your best time in Time Trial mode (includes ghost car of previous lab). 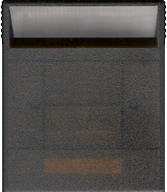 Can be played with regular ColecoVision controllers, but also designed for full compability with the Expansion Module #2. High Score For The ColecoVision Version Of: Burn Rubber: Single Race. High Score For The ColecoVision Version Of: Burn Rubber: 1 Player Battle. 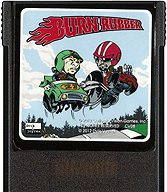 ColecoVision.dk Game # 96, Burn Rubber is last updated: March 28, 2019.